Like many plants, daffodils protect themselves from predators by chemical means. Alkaloids, chemicals related to amino acids, make daffodils unpalatable and poisonous to animals and humans. Even small amounts of these chemicals produce severe digestive problems and can result in liver failure and death. Treatment appears to be primarily palliative, and there is no known remedy. While stories abound of accidental poisonings caused by mistaking daffodils for onions, they appear to be cautionary rather than factual. Caution is good advice when dealing with daffodils, children and pets. All parts of daffodils, also called narcissus, contain the alkaloids galanthamine and lycorine, which possess both emetic and sedative properties. Alkaloids affect the nervous system. The Canadian Veterinary Journal notes that effects may be stronger on animals than on humans, but data is not adequate to form solid conclusions. Aside from the tragic accounts of Dutch cattle poisoned during World War II by desperate farmers who fed them daffodils to prevent starvation, most accounts relate accidental poisoning. The same chemicals that cause poisoning give blossoms, stems, leaves and bulbs a bitter taste, along with an irritant that can cause contact dermatitis in sensitive people. Curiosity and ignorance account for poisoning in children and pets. Vomiting and diarrhea are often the first signs of distress, followed by lassitude and possible convulsion. The amount of daffodil and the plant parts ingested both affect the level of toxicity. ProVet estimates an LD50 amount for dogs (the level at which 50 percent of affected dogs can be expected to die) as 15 grams, or barely 1/2 ounce. ProVet states flatly that there is no antidote to daffodil poisoning. Treatment appears to be palliative. The Canadian Veterinary Journal contains an account of successful treatment of a cat that had eaten dried daffodil stems. Symptoms are similar to those observed in animals, and poisoning should be suspected if small children could have come in contact with daffodils. Again, treatment appears to be mostly palliative. Symptom onset occurred within 15 to 24 hours in cases reported, and human symptoms appeared milder. Many human cases displayed spontaneous recovery after 48 hours, according to the Canadian Veterinary Journal. While daffodil borders are a sure sign of spring, consider planting daffodils 6 to 12 inches away from the edges of flower beds if you have young children or pets. 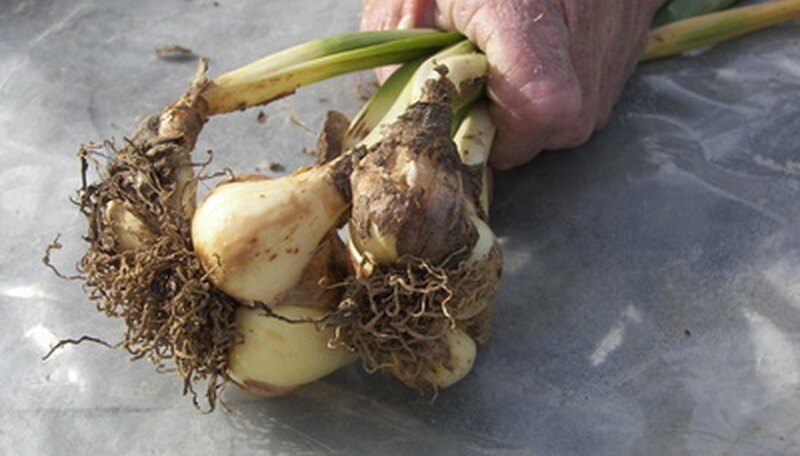 (An added dividend to planting daffodils back from the edge is that you can use other plants to hide deteriorating foliage after daffodils have bloomed.) Keep indoor flower arrangements containing daffodils out of easy reach. Contact the National Poison Control Center (1-800-222-1222) and seek immediate medical assistance if you suspect poisoning.